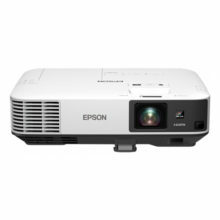 With the world’s first real-time auto keystone correction feature, the projector will automatically correct the distortion of the projected image within one second – no matter where the projector is placed. 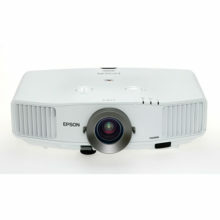 This rapid adjustment speed lets you display a perfectly rectangular screen even while moving the projector. Push the “Screen Fit” button to automatically adjust the image frame with the edges of the screen when the image extends beyond the frame of the screen or whiteboard. This feature allows you to focus more on your presentation than on adjusting the projection output. The EB-1955 features a Faroudja DCDi (Directional Correlational Deinterlacing) Cinema video enhancement processor that produces exceptional image quality without introducing artefacts. The Faroudja DCDi was developed to eliminate jagginess by using a unique algorithm, so your video-based presentations remain sharp all the time. Greater depth and perception add appeal to your presentations. With TrueLife enhancement, a sharpness enhancement technology, the projector identifes and enhances transitions, such as skin texture, freckles and hair, to produce images with remarkable clarity and colour. With the Focus Help button, you can adjust the focus easily by looking at the figure and bar gauge displayed on the screen during adjustment. This function is especially helpful for users who want image accuracy during their presentations or when the adjustment of the image is done by a single person. With Epson’s EasyMP Monitor network monitoring and control software, you can see from a single PC, which connected projectors are available and whether they are running efficiently – even across the biggest network. You can also configure your projectors, monitor their statuses, access their serial numbers remotely, and even set up the software to deliver instant email alerts for pre-defned critical indicators such as non-functioning devices or overheating lamps. Now you can send messages or announcements as JPEG files simultaneously to any number of projectors on a network. 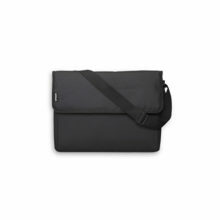 This makes the EB-1955 useful for immediate communication needs or even emergencies. The split screen feature allows inputs from two separate sources to be displayed side by side on the same screen. In a video conference, for example, images of presentation materials and remote participants can be shown simultaneously. 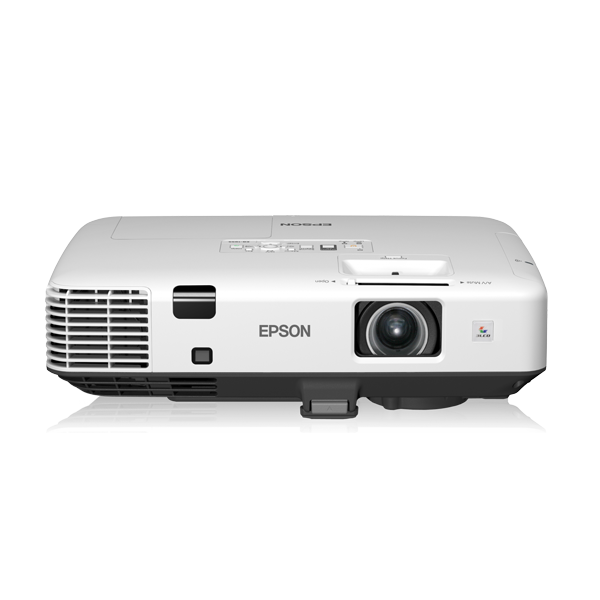 With Epson’s “EasyMP Multi PC Projection” software, screens from multiple networked computers can be displayed simultaneously on the same projection – for more interactive meetings. Up to 32 computers can connect to the projector through a network, with screens from any four computers being shown at a time. With the iProjection application for both iOS and Android, wireless projection from a smart device is made possible. This feature supports various files and allows you to present your smartphone contents with ease. It also lets you use other touch-screen operations, such as flicking to turn pages and pinching to zoom in or out. 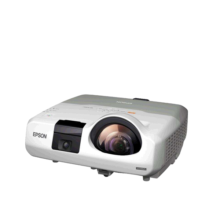 Projector profile search, multi-screen display, distribution function, audio transfer, movie file transfer, interrupt connection disabling and encryption data transfer capabilities are not supported during the use of iProjection. Now you can deliver PC-free presentations anytime. The EB-1955 supports a wide range of content formats, including PDF, JPEG, BMP, GIF, PNG, and Motion JPEG. Simply save your files in a USB memory, then plug and play.